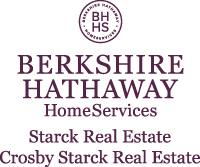 For more than 25 years, I have helped hundreds of customers buy and sell from first time home buyers to large country estates. From Crystal Lake to Wonder Lake, Harvard to Huntley, Marengo to McHenry as well as Woodstock and Bull Valley; I work across McHenry County. Click on any of the homes scrolling below for details on my listings or create your own search in the box to the left. Please contact me if you have questions or if I can be of any help.